Our range of products include autosol metal polishes 250gm and pikal care metal polishing paste. 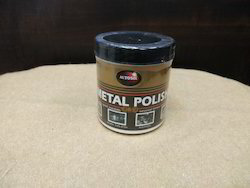 The reputation, we have acquired in the market is due to our involvement in providing Autosol Metal Polishes which is used for polishing all types of surfaces & provide long lasting protection to them, these products are processed using best grade of material in accordance with the quality norms. The offered products are checked by our quality experts in order to deliver a flawless range. 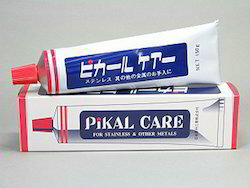 We have carved niche in the industry by providing an assortment of PiKAL CARE Metal Polishing Paste which is used to produce an ultra high finish & particularly use for chrome, steel, brass, gold, silver, the offered polishing pastes are processed We have carved niche in the industry by providing an assortment of PiKAL CARE Metal Polishing Paste which is used to produce an ultra high finish & particularly use for chrome, steel, brass, gold, silver, the offered polishing pastes are processed using high-grade ingredients and the latest technologies, as per with set industrial standards and norms. Along with that, these polishing pastes are easy to apply by hand or soft cloth. high-grade ingredients and the latest technologies, as per with set industrial standards and norms. Along with that, these polishing pastes are easy to apply by hand or soft cloth.